No matter if you are an education agency, a study abroad provider, or any of the myriad of student service providers, we all have a role to play in enhancing the employability of our students. 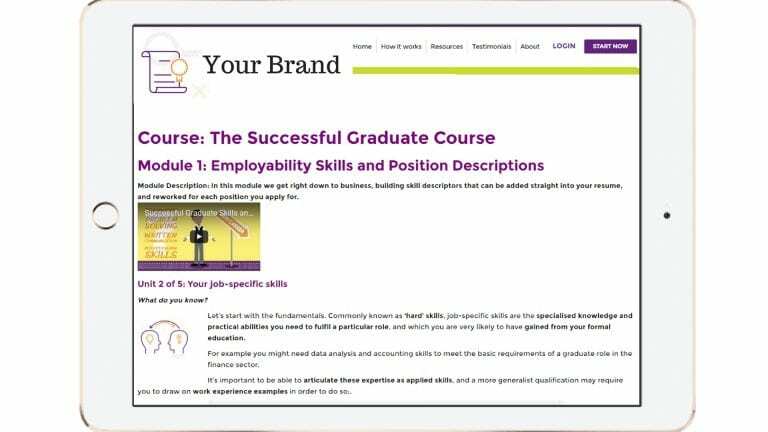 By working with Successful Graduate, your organisation can share revenue on every course sold. Talk to us today about our microsite solution that will deliver an extension of your own website, allowing you to provide our services to your students. We will provide you with a solution that will enable you to sell Successful Graduate courses through your own website to your students.